Rugby was introduced on the campus of the University of Tennessee in 1970. 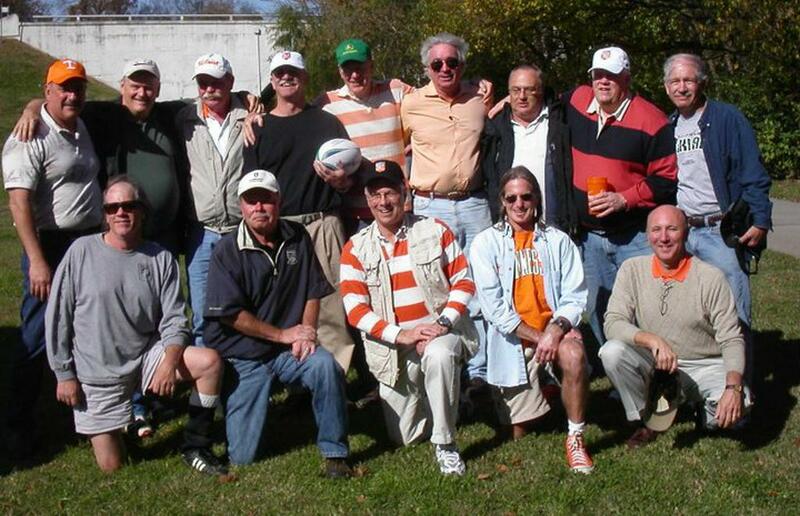 An undergraduate student (Gary Gilino) and two graduate students (Ric Mellon and Jim Pyles) enlisted a chemistry professor (Dr. John Bloor) and a graduate assistant (Dr. Fred Masri) as coaches, formed a team, enlisted others, and in less than six weeks, played the first official rugby match at Tennessee. Ric Mellon was elected as the first president of the team and also served as the backs captain. Jim Pyles was elected as Vice President. Gary Gilino was elected treasurer and also served as forwards captain. The first official match was held on October 31, 1970 in Huntsville, Alabama, against the Redstone Rugby Club. In a bitterly fought match, Tennessee prevailed 8-6. In the second match the Volunteers lost to Vanderbilt in Centennial Park on November 07, 1070 by the score of 21-8. On November 22, 1970 Kentucky came to Fulton Bottoms and the Vols won their first home game 32-0. The below photo was taken following this game to "catch the team with the flush of victory". 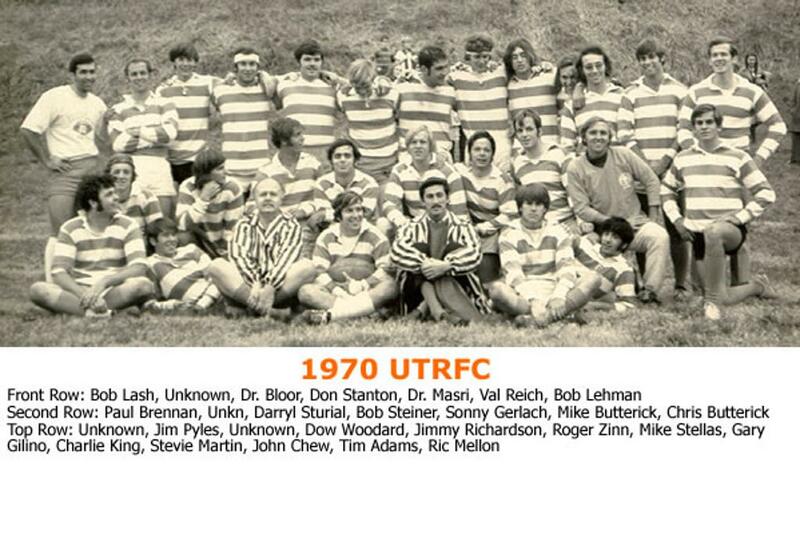 At the end of the 1970-1971 year, UTRFC sported a record of 13-3-3. Dr. Bloor, Phil Durand, and Fred Masri are generally credited for the early success of UTRFC through their countless hours of coaching and teaching this new found sport.